This vintage ‘lightweight’ Subbuteo Table Soccer team (ref. 663 Liverpool) dates from the 1980’s. The team comes from a private collection and is in superb condition. 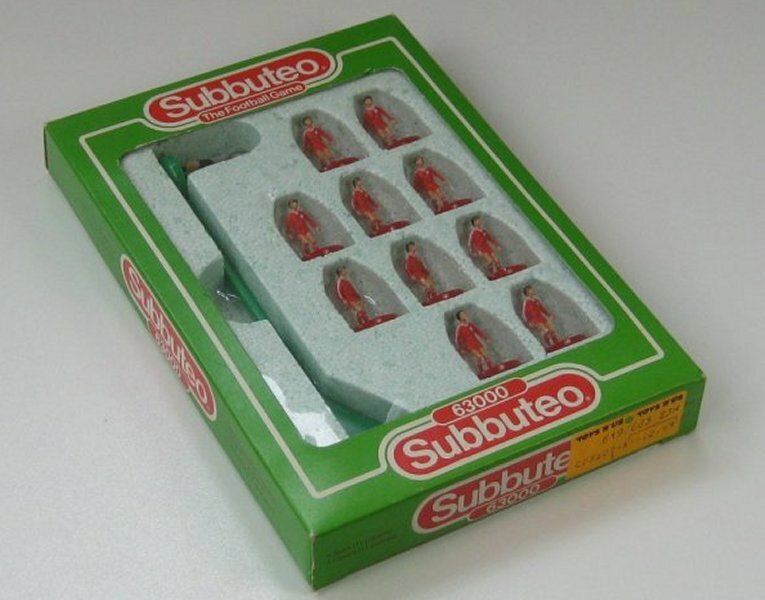 The player figures are in ‘as new’ condition and the box is in excellent condition with very little wear. Box: Excellent (Grade: 9.0) Correct reference sticker. 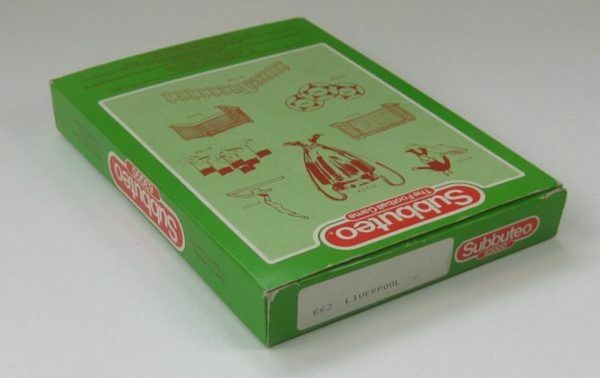 For full details of our grading system, please see our ‘Grading Vintage Toys’ page.